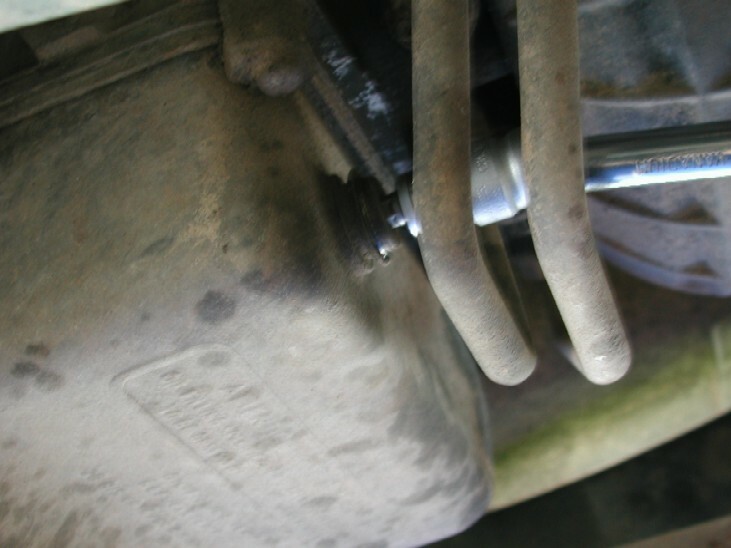 This has to be one of the most discussed topics ref normal car maintenance. Some say leave it alone if its ok, others say change it and extend the life of the gearbox ? What's best...? well who knows. 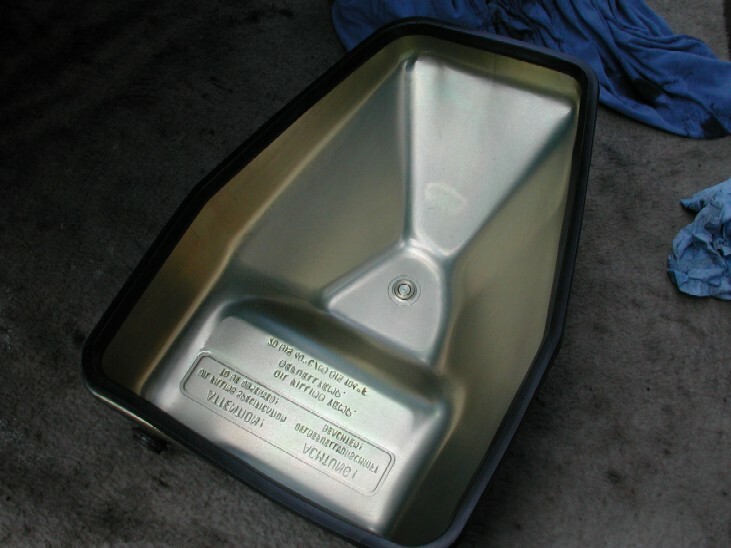 Its a well known fact ATF oil is detergent based and renewing the oil "can" clean the box out and dislodge dirt etc and actually cause problems that were not there before the oil was changed. What I will say is this, the auto box oil and filter change IS part of the service schedule on the Discovery 2, so "if" your car has a full history, then it would have def been done at some point in its life. So, If Im honest I was in two minds whether or not to do this as I had no issues at all with the auto box, BUT a recent failure / breakdown basically left me with no choice but to do it. Details of that here. For a standard oil / filter change you will need a new filter / "o" rings, at least 5 litres of ATF oil and a new sump gasket. 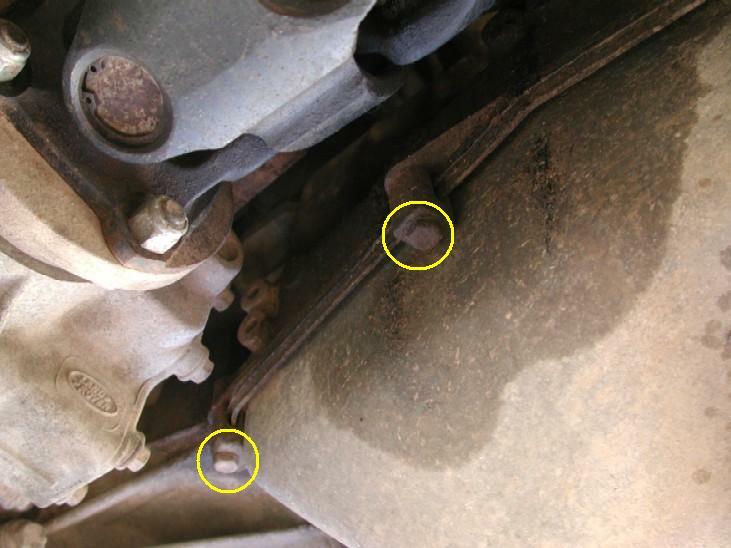 First off, get the car parked on a level surface, then the first job is to drain the oil from the gearbox sump, below is the sump and the drain plug at the bottom. NOTE !!! 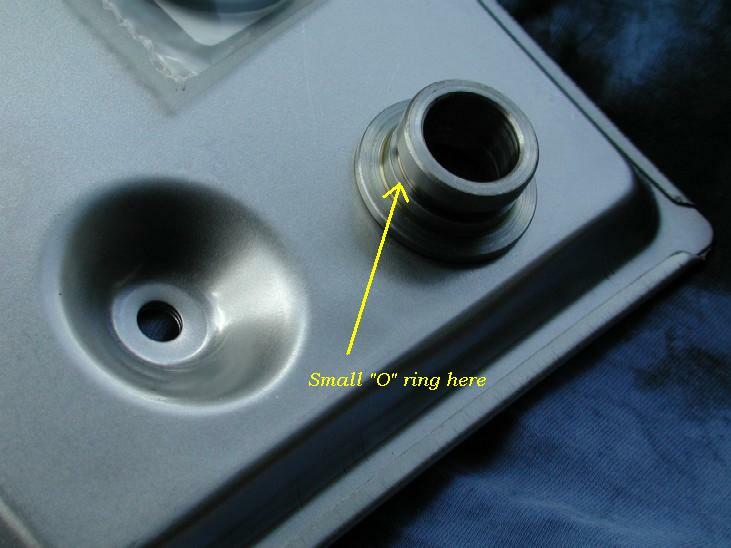 BEFORE you undo the sump plug and drain the oil, ensure you can undo the refill plug on the front face of the sump!!!! BEFORE you drain the auto box oil. Both drain plugs use a Hex drive or "allen keys" to undo them. Socket drivers are by far the easiest to use for this job. The Refill plug is a lot larger than the drain plug and is on the front face by the oil cooler pipes. You will probably only get about 4-5 litres max of old ATF oil in the sump, the rest of it is all inside the gearbox. 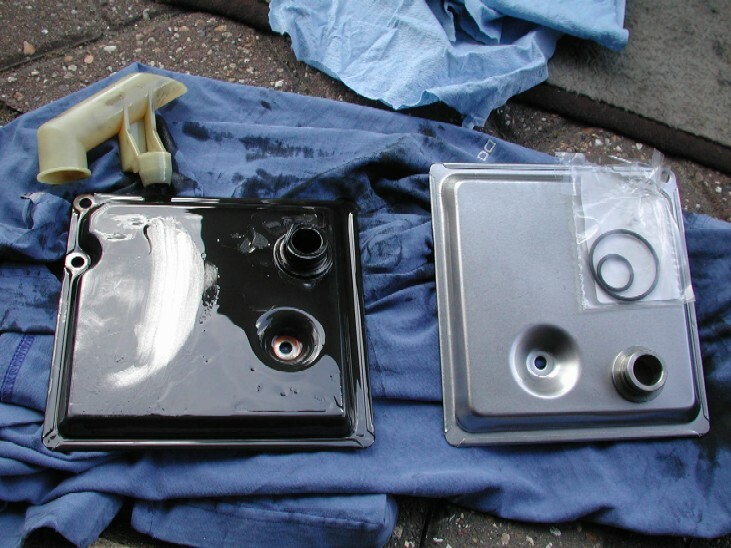 It is not possible to get it all out by changing it this way, that's why its recommended that you do one change and then a few hundred miles or so do another (no filter) to try and get most of the old oil out. Once the oil has drained, refit the sump plug and tighten to 15NM or 11LBS/ft and then you need to remove the sump itself. The sump is simply held on by 6 bolts / spacers all around its outer edge. Two of them circled below. 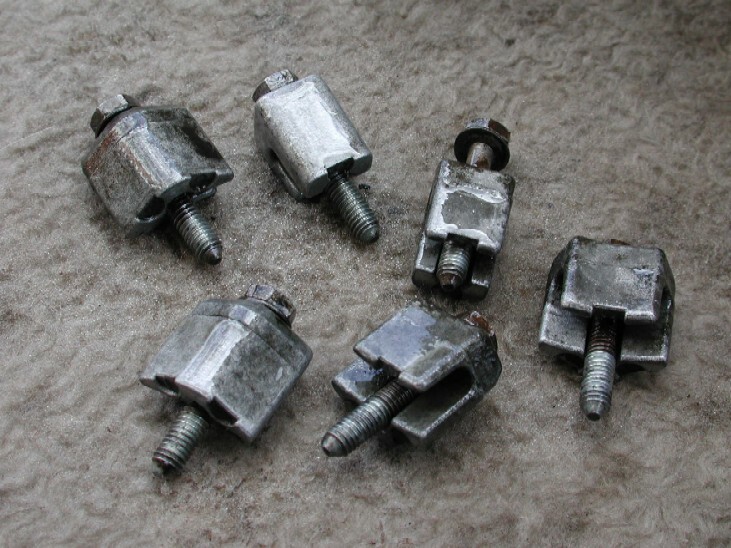 The sump bolts are not tight and when removed the sump will simply come away. NOTE !! !....the corner spacers are different to the two centre ones, ensure you get them in the correct place when you go to refit them. Once the sump is off, this is what you will see!! 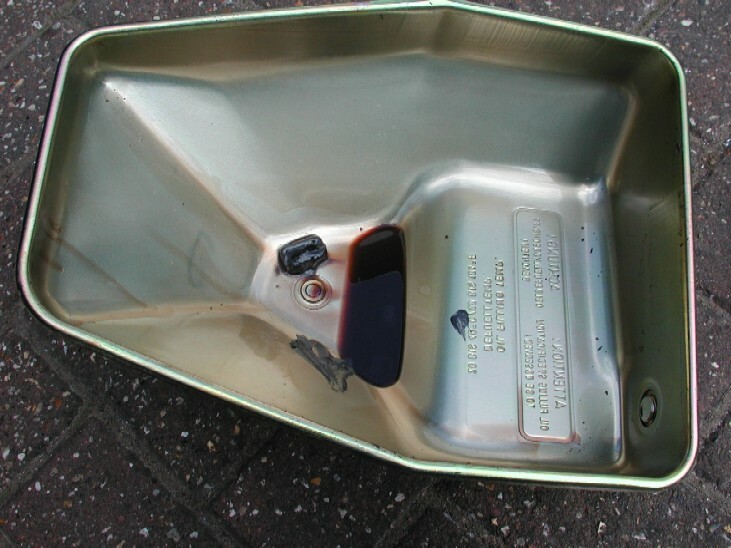 With the sump off, oil will continually drip from parts of the gearbox, so ensure you leave a container of some sort underneath until you have refitted the sump. Whilst the gearbox continues to drip / drain to get as much as possible of the old oil out, give the sump and spacers etc a good clean up. 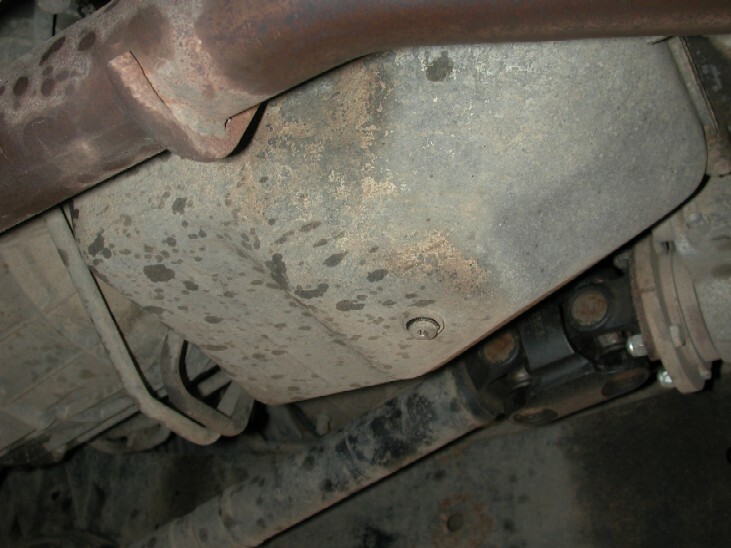 Note the small rectangular magnet inside the sump that is there to collect the very fine particles as the box "wears". It will most likely be covered with a fine mush of filings / dirt. That is perfectly normal, however there should not be any large metallic items stuck to the magnet, if there is then you have a larger problem that needs to be investigated. 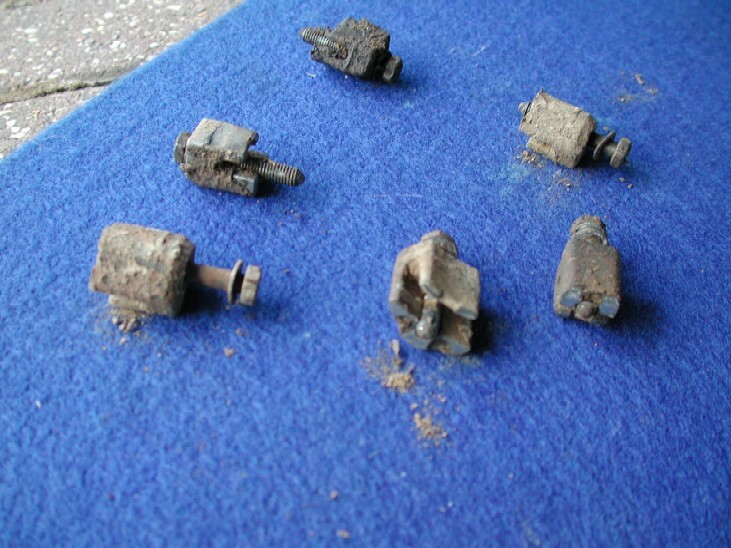 The Bolts / spacers were also a little "dirty" so they were fully washed and then lightly sprayed with WD40 ready for refit. Note the differences between the corners and the straight ones. Sump all cleaned up and new gasket fitted.....DON'T FORGET THE MAGNET!!!! The centre bolt is longer than the other 2. Here's the filter removed and shown next to the new one. You can clearly see the "clean" smear I made in the dirt on the old filter. And the large "O" ring goes here between the filter and the Gearbox when the filter is installed. 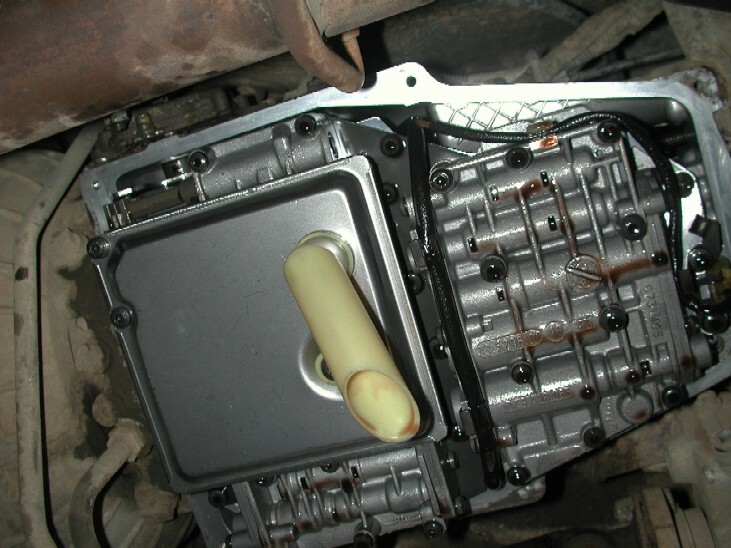 Now before you refit the sump, ensure the mating face of the gearbox is clean, if you wipe round it with CLEAN rags or tissue, ensure you don't get ANY dirt into the gearbox etc. When your ready, refit the sump with the new gasket back to the gearbox and tighten the bolts / spacers to 8 NM or 6 Lbs/ft. NOTE ! 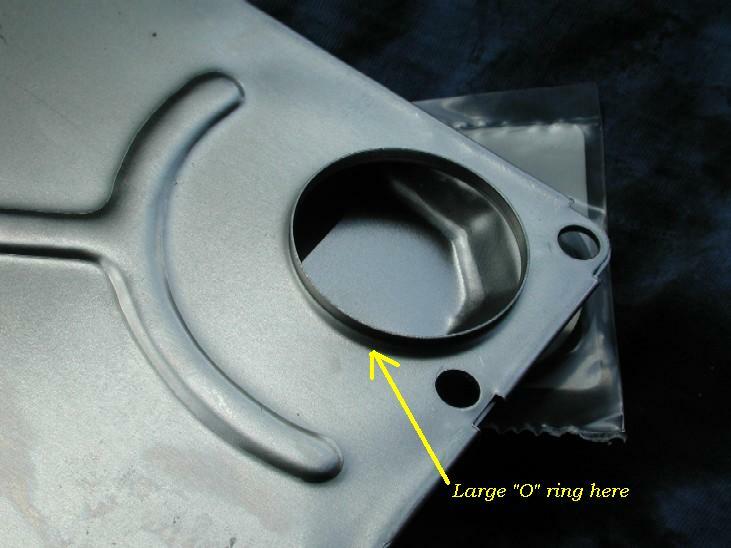 !, make sure the new gasket stays in position as you refit the sump, and that you have the correct spacers / bolts in the right places. Start ALL the bolts loosely before the final torque up. Now your ready for the refill procedure. To refill the gearbox you will need at least 5 litres of ATF and some way of getting it in there. I used an small oil pump the same as what I used to do the transfer box oil as I have one for ATF and one for gear oil. If you only have one, ensure its fully cleaned out before using it for the ATF oil. Having a second person here would be advisable, and ensure the car is also chocked and the handbrake WORKS!!. 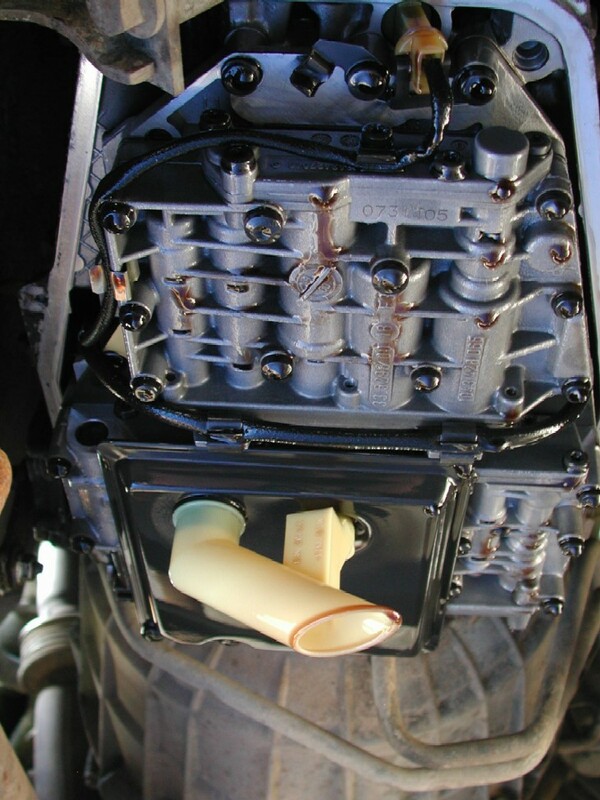 So remove the fill plug and start to refill the box with the engine OFF and in "P". 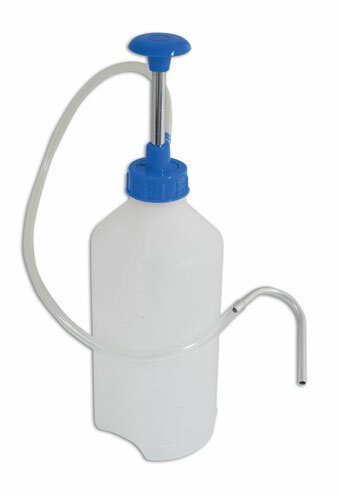 You will most likely get about 2 litres into the sump, continue filling until it over flows from the fill hole. Then with your second person in the car, start the car and allow it to IDLE with the footbrake applied at ALL times, then whilst CONTINUING to fill the box, get the person in the car to move the selector through ALL the positions from "P" down to "1" and back up to "P" again. Hold it in each position for a second or so, once the box is back in "P" continue to fill the fill the box until it overflows with a 2mm bead of oil from the fill hole, stop pumping and refit the fill plug, switch off the engine and that's it job done. Torque the fill plug to 30NM or 22LBS/ft. Would I recommend a change?? well after now driving it with new oil I would have to say yes!! So make up your own mind if its worth it or not ???? ?